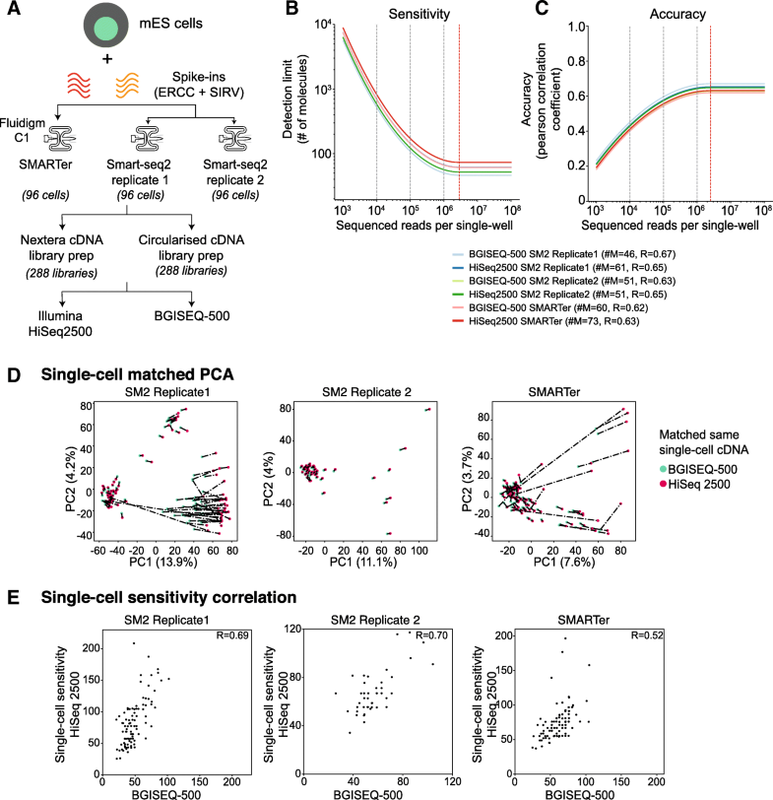 Single-cell RNA-seq (scRNA-seq) has become the established approach to dissect cellular heterogeneity, unravel cell states, and identify subpopulation structures across different cell types [1–4]. 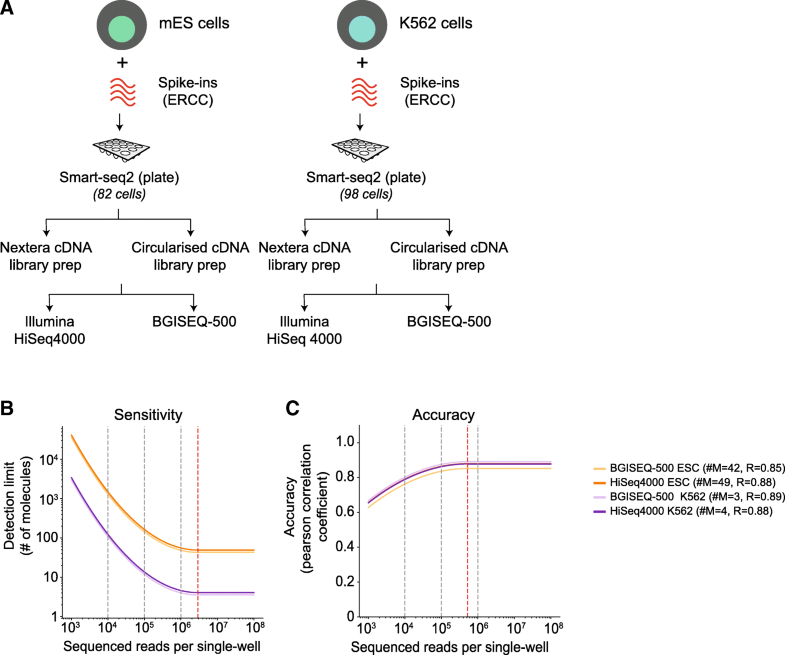 The different scRNA-seq methods and technologies have been benchmarked using synthetic RNA spike-ins [5–7]. However, to date, most scRNA-seq methods require cDNA libraries to be compatible with short-read Illumina sequencing platform. The rapid developments in single-cell genomics are transforming our understanding of biological systems by capturing underlying gene expression variability to identify cell types, states, and transitions across cell populations. Single-cell transcriptomic profiling is a multi-step sampling procedure, where the first major step involves cell lysis, RNA capture, reverse transcription of RNA, preamplification of cDNA generation. The next major step requires single-cell cDNA to be converted into a sequencing compatible library, followed by sequencing. There are several scRNA-seq protocols that utilize different chemistries, platforms, and technologies to address the first critical step of converting RNA into cDNA. The technical variation, performance metrics (sensitivity, accuracy), and reproducibility for the first critical step have been recently evaluated and benchmarked using synthetic RNA spike-in molecules [5–7]. However, all the scRNA-seq protocols and technologies require libraries to be compatible for sequencing on short-read Illumina platform.